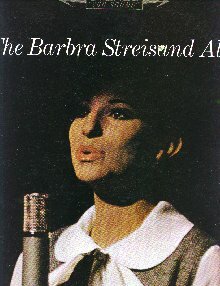 "1963 - The Barbra Streisand Album - Stereo "
(451) The Barbra Streisand Album - 1963 - Stereo, -Condition: Very Good. Album Cover in wonderful condition. Record has been used but appears to be in great shape. This is one of her first Record Albums that she did. It is a nice momento of the beginning of a long career! Price: $10.00 + shipping.